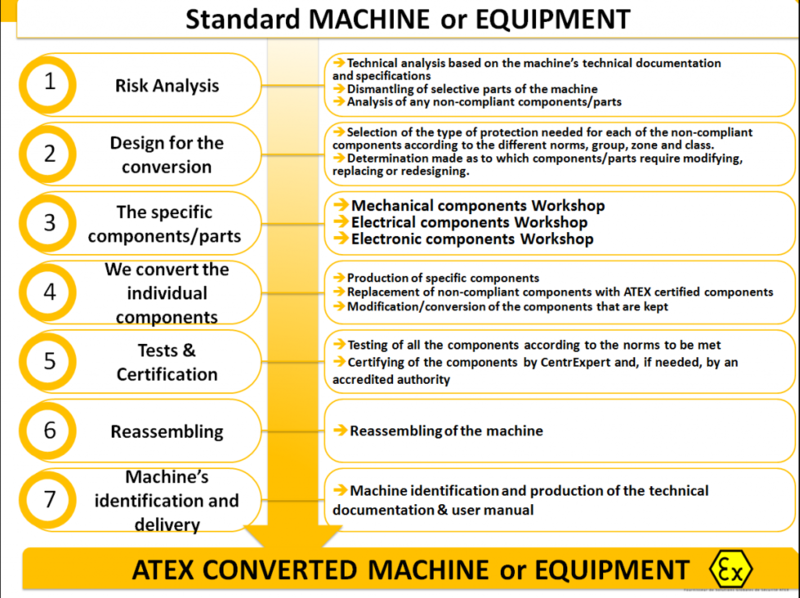 ATEX conversion or modification consists in ensuring that an existing machine is protected and certified and therefore suitable and safe for use in ATEX zones. Every conversion we carry out is a specific project in its own right, and consequently requires its own specific process and method. The first stage of the project is to consult with the client to find out about the demands that are usually placed on the equipment depending on the zone and conditions of use. By taking into account the whole context in which the equipment is used, we can better determine the correct zoning for the site, or optimize the usage scenarios. This stage is of paramount importance, as it allows us to make the best choice, and to choose the most suitable level of conversion, (not too much, not too little). An insufficient level of modification would put the user at risk. Over-modification would lead to unnecessary costs, as well as increase the complexity of the work involved and the level of maintenance required. Once the Category, the Group, and the Class of the machine (or equipment) have been determined, the conversion work can begin. This stage involves identifying the non-compliant components for each machine or equipment. 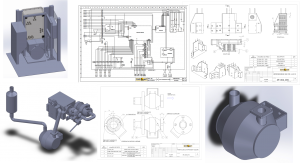 These components are identified by consulting the manufacturer’s technical documentation (diagrams, parts list, etc.) or by a careful analysis, often accompanied by a partial dismantling of the machine or equipment. A basic machine or piece of equipment can contain tens of non-compliant components; a complex machine can contain hundreds. 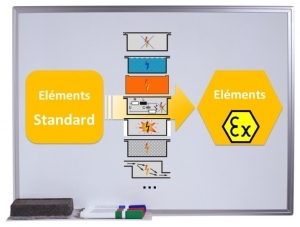 This stage requires a high level of ATEX expertise in order to ensure the risk analysis is performed thoroughly, depending on the type of parts to be modified. Selection of the type of protection needed for each of the non-compliant components according to the different norms, group, zone and class. Determination made as to which components require modifying, replacing or redesigning. This stage consists in deciding which type of protection is required for each of the non-compliant components. It is also at this stage that we decide on the overall design for the conversion. For each of the risks identified, this design involves not only deciding on the optimal types(s) of protection to be used with respect to ATEX regulations, but also ensuring that the modifications carried out will not degrade the initial characteristics of the machine. 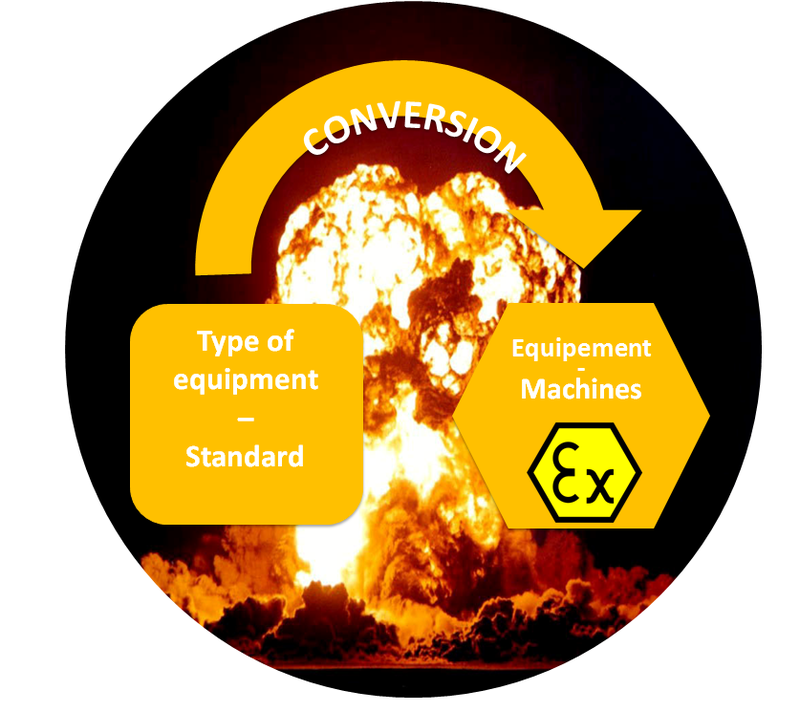 This is a detailed ATEX conversion design process. The electrical workshop is responsible for coming up with the new design and implantation of all the electrical / electro-mechanical components, taking into account which components are to be added or modified or replaced. 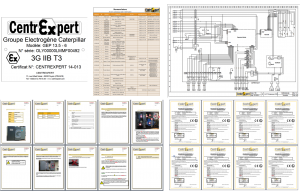 The electronic workshop deals with working out how best to perform the ATEX conversion, especially considering that more and more machines have on-board electronics or IT systems. This stage involves identifying the non-compliant components for each machine. 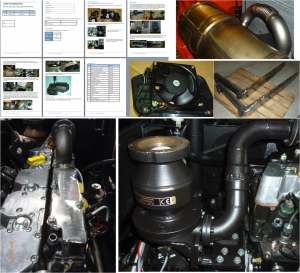 These components are identified by consulting the manufacturer’s technical documentation (diagrams, parts list, etc.) or by a careful analysis, often accompanied by a partial dismantling of the machine or equipment. A basic machine or piece of equipment can contain tens of non-compliant components— a complex machine can contain hundreds. Is certified by CentrExpert and/or by a notified organisation. All of the ATEX compliant components are (re)integrated into the machine. This stage is especially delicate and is therefore subject to regular controls, ensuring that the machine operates correctly and that its integrity has not been affected. The whole machine or equipment as a whole is tested following a check-out procedure. 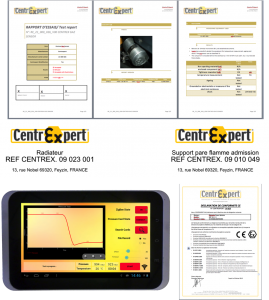 The technical file (electrical diagrams, parts list, user & maintenance manual, certificates of ATEX-compliance) is prepared. The machine is delivered to the client following the client’s specifications.